Lovers & haters of Valentine’s Day, welcome! 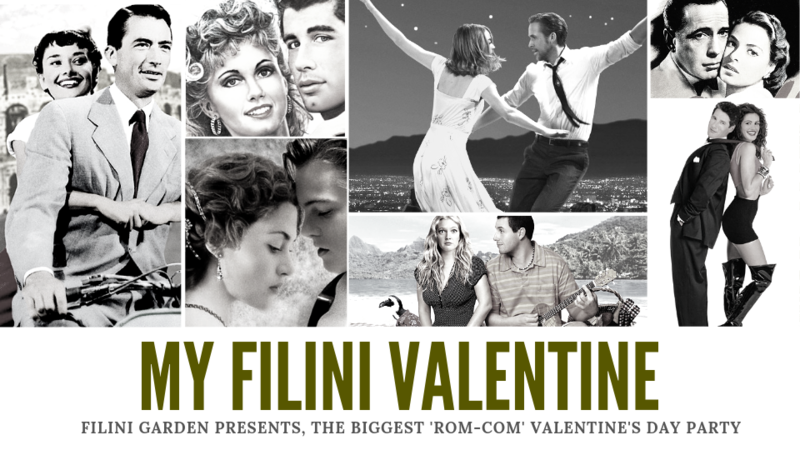 Filini Garden Yas Island is throwing a “Filini Supper Club: Valentine’s Edition” party on the 14th of February, and both couples and singletons are guaranteed to have one fabulous evening. This award-winning dining & nightlife venue is the perfect combination of 'romantic' with its gorgeous sunset views & lush green surroundings; and ‘party’ as Time Out Abu Dhabi Nightlife Awards' Best DJ, Cliff Townley provides the soundtrack to this awesome event. Guests can enjoy the Supper Club package which includes unlimited signature bites & beverages for only AED 225 per person, while those who prefer a bit more exclusivity can share a romantic 4-course dinner for two at the restaurant area which boasts sweeping views of the golfing greens for only AED 550 per couple.